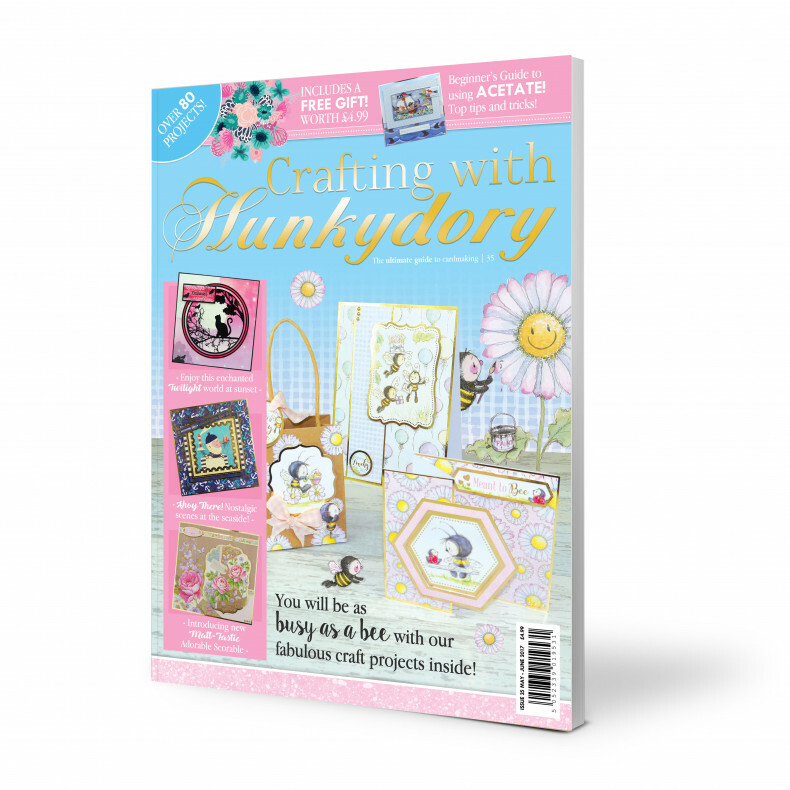 Crafting with Hunkydory is the perfect magazine for all Hunkydory Crafts lovers! This 84-page bi-monthly magazine includes inspiration for over 80 different projects, with full colour large photographs and instructions included. Inside you will find a ton of well-loved features including articles by the Hunkydory in-house demonstrators, Readers Gallery, Sketch Challenge, Your Letters, Hunkydory's Helping Hand & more! Projects are included for the brand-new Craft Stacks, Florabunda, Ahoy there!, Especially for You, Filigree Frames, 50 Shades of Mirri - Ombre and more! Stop Press! All-new features this issue include The beginners guide to card making with acetate and how to work with the all-new fabulously foiled Adorable Scorable!